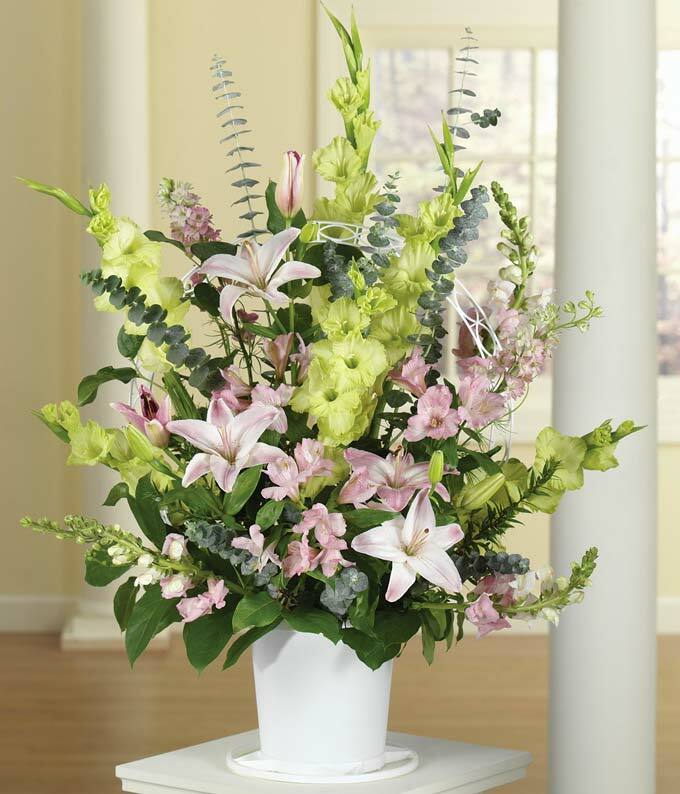 A beautiful sympathy floral arrangement of pink snapdragons, lilies, green gladiolus and alstroemeria. These pastel mixed flowers are a lovely tribute to a life lived to the full. Available for hand delivery direct to a funeral home, for display on a stand. Arrangement measures approximately 35"H x 29"W x 18"D.